Fala Chen (陳法拉) was determined to break out of her comfortable shell when she left TVB last year in pursuit of greater opportunities outside of the station. 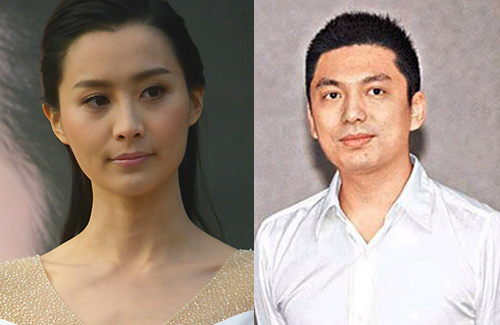 Besides starting anew with her career, Fala also ended her relationship with Neway heir Daniel Sit (薛世恆). Since the breakup, Daniel was linked with several women, but he is unable to forget Fala. Hoping to win Fala back, Daniel recently paid $109 million HKD to buy and renovate a luxury apartment in hopes that Fala would be moved by his gestures. Working with Kelly Chen’s (陳慧琳) manager, Fala thought she would have a chance at transitioning her career to the film industry. Unfortunately, a year later – Fala’s career seems to be at a standstill with her residing in the United States the majority of the time. Despite wanting to be independent and stressing the need for more freedom in her work, Fala’s plans backfired. Fala and Daniel’s relationship was on the rocks when Hotcha member, Regen Cheung (張惠雅), entered the picture. Initially favoured by the Neway heir, Regen received a lot more attention than the rest of her Hotcha group members. However, Daniel was unable to erase Fala from his memories and immediately jumped to Fala’s aid when he found out about her career standstill. Dropping Regen from all the promotions, Daniel began promoting Hotcha’s Winkie Lai (黎美言) to draw clear boundaries with Regen. Another speculation behind Fala and Daniel’s breakup was due to Daniel’s family politics. Although Daniel is the eldest son in the family, the business is mainly managed by his younger brother, Ernie Sit (薛嘉麟). Ernie’s wife, Marie Zhuge (諸葛紫岐), also received favoritism from his parents’ after giving birth to a baby boy. With Daniel’s lack of power in the family and Fala’s long term rivalry with Marie, Fala ultimately broke off the relationship. To prove to Fala that he is still capable of letting her live like a queen, Daniel bought a 15,000 square feet complex for $109 million HKD should Fala decide to rekindle their relationship. After extensive renovations, the four-level luxury home is estimated to be worth $500 million HKD. While Daniel is trying to win Fala back, she may have moved on to different pastures. In a recent Weibo post, Fala flashed a new ring around her middle finger. Money can’t buy love, but I might be wrong…eventually it could. Any HK girl would jump at this opportunity. But that being said the state of the housing and living style is mainly to blame since most girls look for a secure and easy life of luxury with a rich guy. I would want to see fala back filming for tvb. Tvb has been overboard with promoting their newcomers as leads over their experienced ones who forever remains in supporting roles. It’s pretty obvious they r lacking fadans to take leading roles and r rounding up all kind of people from miss Hks to singers, hosts…. TVB is really short of fadans and siu sangs now. It would actually be a great thing.To me TVB has the kinds of movies I’m interested in. Omg how rich is this guy family? $500millions HK is about $65millions USD. Not many billionaire would even spend that much for a flat. Fala Chen will “forever” use the Sit family for publicity. $500 million HKD is only an “estimate” after the renovations. I doubt even with the most expensive renovations can make the price increase fivefold. Most renovations do not increase the house value that much. Agreed, that $500 million HKD estimate is way inflated. Yes, here’s a house, now take me back?! Use an expensive house to win back her heart? Money is good to have, but shouldn’t it be sincerity to prove his love? (1) HK$500 million reno or not = it will not enhance a $109 million real estate asset to that extent. Any partner who’s attracted by the exy value of anything splurged on them, is not a partner worth keeping. The Sits aren’t THAT foolish/desperate. May be just toying with the gold digger Fala Chen. The wealthy don’t take shiiiit. Don’t think Fala ‘s a gold digger. If she were, she wouldn’t leave Daniel. Now it seems this guy’s more desperate for her than she of him. If Daniel Sit had control of the $$$$ and Fala Chen had more access to the $$$$, I highly doubt they would be “divorced”. I hope fala returns I really don’t like watching rebecca zhu ocean and sisly in upcoming dramas!! That’s Fala Chen holding up the crab in the source link? No wonder Leanne Li won the title/championship over Fala Chen. Unless Fala is willing to give up her acting career and start giving her in laws some grandchildren, it is going to be difficult for Daniel who hails from a prominent traditional family. Marie is doing everything right to be in favour. Never liked her acting. It’s boring and unnatural. I know, I never find her acting good just like Kate Tsui. Both the same level and even that snake woman, she is SOOOO overrated and yet ppl call her the acting QUEEN. please…HK needs more real talent I/o of all these MS HKs???? fala has lost favour in the Sit family. Unless she starts giving birth, she will not gain any standing space in the family. Her sister in law has given birth to a boy. not to mention she would have to give birth to a boy too. she won’t have any status if she gives birth to a girl. I wonder if her ex is making use of her to help regain his status as eldest son. yup, she has to give birth to a boy to gain favour in that traditional family. otherwise her sister in law would have a good laugh. Dam…HK$109 million! If I had that kind of money to throw around, I’ll go to Thailand, the Philippines, Czech Republic, Hungary, Colombia or Brazil to find myself a hotter girl.